3. In view of the clear distinction in service jurisprudence between a regular and a temporary appointee, whether the appointment of a person on a compassionate basis on probation is permissible in law. A writ petition under Article 226 of the Constitution has been instituted by the Senior General Manager of the Ordnance Factory at Kanpur against a judgment and order of the Central Administrative Tribunal2 dated 29 May 2015. An Original Application was filed before the Tribunal by the second respondent in order to challenge an order dated 25 January 2011 of the General Manager of the Ordnance Factory and an appellate order dated 21 March 2012. (3) Ram Chandra Vs State of U P5. In the view of the Tribunal, a disciplinary enquiry has to be held before terminating the services of a person appointed on a compassionate basis. The order of termination was set aside. (4) Meeting other requirements, such as passing a typing test. Hence, it was urged that other provisions pertaining to direct recruitment would continue to apply and a compassionate appointee has necessarily to be placed on probation in the first instance. Such an appointee can be confirmed on the post only after completing the period of probation satisfactorily. All such appointments, including an appointment on probation, are regular appointments and when a person appointed on a compassionate basis is placed on probation, the appointment continues to be of a regular nature. The Division Bench, while referring the issue to the Full Bench, held that it was not in agreement with the law law laid down in Jagdish Narain (supra) which considered the provisions, inter alia, of the Government Order dated 9 October 1998. In the view of the Division Bench, a person who is appointed on a compassionate basis, would necessarily have to be placed on probation in the first instance, in accordance with the service rules. The consequence is that if he or she does not complete the period of probation successfully, the services would be liable to be terminated, like in the case of any other direct recruit. The Division Bench observed that while provisions pertaining to temporary appointments in service rules may not be applicable to a compassionate appointee, this does not give rise to an inference that a person who is appointed on a compassionate basis, is not to be appointed on probation. This is the background in which the reference before the present Full Bench arises. Compassionate appointment is a concept which has been evolved in our service jurisprudence to meet situations where an employee of the State dies while in service. Compassionate appointment as a concept, recognizes that the family of an employee of the State, who has died while in service, is left to fend for itself without its wage earner on whom it was dependent. While the sorrow of an untimely death cannot be assuaged - time and memory being a healer of sorts - what compassionate appointment provides is an avenue for the family of the deceased employee to live with a sense of dignity by providing one of its members employment with the State. Compassionate appointment is an exception to the principle that equality of opportunity in matters of public employment, which is guaranteed by Article 16 of the Constitution, requires a level playing field for all prospective applicants who seek employment with the State. Appointing a person in the employment of the State merely on the ground of the relationship with a government servant will violate Articles 14 and 16, since it would deprive society at large of an equal right to apply for and seek selection on the post. Compassionate appointment is accepted as a valid exception to the general rule, for the reason that its rational is founded on the principle that there is a public interest inherent in protecting the dependents of employees of the State from the financial destitution which may result from an untimely death while in service. The exception is thus not founded only on the existence of a family relationship. Besides this, it is founded on dependency and financial need caused by the death of a wage earner while in service. As an exception, its contours and ambit are precisely defined or tailored to bring about a proportionality between the reason for the exception and the means which are used to meet its purposes. Firstly, the death of the employee of the State should have occurred while in service or as it is commonly said, while in harness. Secondly, the financial needs of the family of the deceased employee should justify the grant of employment in the State on a preferential basis. Absent financial need, no compassionate appointment can be granted. Thirdly, compassionate appointment is not a reservation of a post in public employment but an enabling facility which is provided to meet a situation of financial want and need. Fourthly, the grant of appointment must ordinarily be proximate in time to the occurrence of the eventuality of death since the need of a family which has survived a death over a period of time would, in all reasonable possibility, stand diluted with the progression of time. Fifthly, the ambit of who can seek compassionate appointment is specified so as to allow access to the provision to persons belonging to the immediate family of the deceased who are dependent on him or her. Sixthly, there is no general right to seek compassionate appointment in the service of the State. A claim for compassionate appointment can be made where a policy has been laid down by the State to provide compassionate appointment under a dying in harness provision. Absent an enabling policy, there would be no right or claim to compassionate appointment. Where there is a policy, the claim has to be evaluated strictly according to its terms. Seventhly, the State while framing a policy for compassionate appointment, can legitimately define the governing terms and conditions on which compassionate appointment can be granted, including the post or posts to which the appointment is to be made. A person who is appointed on a compassionate basis does not, in that sense, step into the shoes of the deceased government servant, since he or she is a fresh appointee on direct recruitment to whom employment is granted on a post or position for which compassionate appointment is available. The State can also prescribe the extent, proportion or number of posts to which and the identity of posts against which compassionate appointment is to be evaluated. These only are some of the principles, and are not intended to be an exhaustive catalogue of considerations. The Division Bench in its referring judgment, referred to a notification of the Union Government dated 9 October 1998 which provided that compassionate appointment enables a relaxation or exemption in respect of some matters to be provided while making appointment. These are (i) the procedure of the normal recruitment process; (ii) non-applicability of the ban, if any, in a direct recruitment; (iii) relaxation in the outer limit of age for making an appointment; and (iv) relaxation on other aspects including a typing test. The Office Memorandum of 9 October 1998 issued by the Government of India in the Ministry of Personnel, Public Grievances and Pensions (Department of Personnel and Training) formulated the governing norms of a Scheme for compassionate appointment under the Central Government. A number of instructions on compassionate appointment under the Central Government were issued. These were brought together and formulated in an Office Memorandum dated 16 January 2013. The Scheme is an illustration of and embodies many of the principles to which we have adverted to above. The object of the Scheme is to grant appointment on compassionate grounds to a dependent family member of a Government servant dying in harness or who is retired on medical grounds, thereby leaving his family in penury and without any means of livelihood, to relieve the family of the Government servant concerned from financial destitution and to help it get over the emergency." (c) is retired on medical grounds under Rule 38 of the CCS(Pension) Rules, 1972 or the corresponding provision in the Central Civil Service Regulations before attaining the age of 55 years (57 years for erstwhile Group ''D' Government servants);"
-who was wholly dependent on the Government servant/ member of the Armed Forces at the time of his death in harness or retirement on medical grounds, as the case may be." (b) Applicant for compassionate appointment should be eligible and suitable for the post in all respects under the provisions of the relevant Recruitment Rules." (a) Recruitment procedure i.e. without the agency of the Staff Selection Commission or the Employment Exchange. (b) Clearance from the Surplus Cell of the Department of Personnel and Training/Directorate General of Employment and Training. (c) The ban orders on filling up of posts issued by the Ministry of Finance (Department of Expenditure). (a) Upper age limit could be relaxed wherever found to be necessary. The lower age limit should, however, in no case be relaxed below 18 years of age. Note II Authority competent to take a final decision for making compassionate appointment in a case shall be competent to grant relaxation of upper age limit also for making such appointment. Note In the case of an attached/subordinate office, the Secretary in the concerned administrative Ministry/Department shall be the competent authority for this purpose. (ii) by the Establishment Division of the Department of Personnel and Training if the post is not included in the Central Secretariat Clerical Service. (d) In case of appointment of a widow not fulfilling the requirement of educational qualification, against the post of MULTI TASKING STAFF, she will be placed in Group 'C'- Pay Band - 1 (Rs. 5200-20200)+ Grade Pay Rs. 1800/- directly without insisting on fulfillment of educational qualification norms, provided the appointing authority is satisfied that the duties of the post against which she is being appointed can be performed with help of some on job training. This dispensation is to be allowed for appointment on compassionate ground against the post of MULTI TASKING STAFF only." "(c) While the ceiling of 5% for making compassionate appointment against regular vacancies should not be circumvented by making appointment of dependent family member of Government servant on casual/daily wage/ad-hoc/contract basis against regular vacancies, there is no bar to considering him for such appointment if he is eligible as per the normal rules/orders governing such appointments." (a) In deserving cases even where there is already an earning member in the family, a dependent family member may be considered for compassionate appointment with prior approval of the Secretary of the Department/Ministry concerned who, before approving such appointment, will satisfy himself that grant of compassionate appointment is justified having regard to number of dependents, assets and liabilities left by the Government servant, income of the earning member as also his liabilities including the fact that the earning member is residing with the family of the Government servant and whether he should not be a source of support to other members of the family. (b) In cases where any member of the family of the deceased or medically retired Government servant is already in employment and is not supporting the other members of the family of the Government servant, extreme caution has to be observed in ascertaining the economic distress of the members of the family of the Government servant so that the facility of appointment on compassionate ground is not circumvented and misused by putting forward the ground that the member of the family already employed is not supporting the family." The compassionate appointments can be terminated on the ground of noncompliance of any condition stated in the offer of appointment after providing an opportunity to the compassionate appointee by way of issue of show cause notice asking him/her to explain why his/her services should not be terminated for non-compliance of the condition(s) in the offer of appointment and it is not necessary to follow the procedure prescribed in the Disciplinary Rules/Temporary Service Rules for his purpose." Whether a person appointed on compassionate grounds as 'Trainee' will have probation period. Yes. The probation period, as specified in Recruitment rules of the post/grade against which he/she is appointed would commence from the date he/she acquires minimum educational qualification. Now, in this background, the basic issue which is to be addressed in these proceedings needs to be considered. Where a person is recruited as a direct recruit in the service of the State, the appointment is made on a probationary basis so as to enable the appointing authority to assess the conduct, work and character of the probationer during the period of probation. During the period of probation, the services of a probationer are assessed to determine the suitability of the probationer for retention in service. A direct recruit in the employment of the State is appointed to the regular service. An appointment on probation does not detract from the nature of the appointment which is to a regular service. Probation is merely an opportunity for the probationer to establish by dint of the work which is rendered during the period of probation, that he or she is suitable for being retained in service. On the part of the employer, probation enables the appointing authority to determine the suitability of the probationer for retention in service. There is a well accepted distinction in law and in service jurisprudence between a probationary appointment and a temporary appointment. Temporary appointments in the central civil services are governed by the Central Civil Services (Temporary Services) Rules 1965. The services of a temporary government servant are liable to termination at any time by a notice in writing furnished either by the government servant to the appointing authority or by the appointing authority to the government servant. The object and purpose of a probationary appointment is to enable the employer to observe the performance of the employee during the period of probation and to test the capacity, conduct and character of the employee as a basis to determine suitability for retention in service. "In our opinion, an appointment under the Dying in Harness Rules has to be treated as a permanent appointment otherwise if such appointment is treated to be a temporary appointment then it will follow that soon after the appointment the service can be terminated and this will nullify the very purpose of the Dying in Harness Rules because such appointment is intended to provide immediate relief to the family on the sudden death of the bread-earner. We, therefore, hold that the appointment under Dying in Harness Rule is a permanent appointment and not a temporary appointment and hence the provisions of U.P. Temporary Government Servant (Termination of Services) Rules, 1975 will not apply to such appointments." In Sanjai Kumar Vs Dy Director General (NCE) Directorate (supra), the services of a person, who was appointed on compassionate grounds, were terminated under the Uttar Pradesh Temporary Government Servants (Termination of Service) Rules, 1975 treating it to be a temporary appointment. A learned Single Judge set aside the appointment. The Division Bench observed that neither was a notice served nor was an opportunity furnished to the employee to explain his misconduct. The Division Bench held that on the allegation against the petitioner which was noted in the judgment of the Single Judge, it was open to the State to have held an enquiry. The Division Bench followed the earlier decision in Ravi Karan Singh in coming to the conclusion that an appointment under the Dying in Harness Rules has to be treated as a permanent appointment and hence a termination on the basis that it was of a temporary nature would be illegal. "... It is settled law that the appointments made under the provisions of the U.P. Recruitment of Dependants of Government Servants Dying in Harness Rules, 1974 are of permanent nature. Since appointment of the petitioner was of permanent nature, the provisions of U.P. Temporary Government Servants (Termination of Service) Rules, 1975 were not applicable..."
"It appears that the nature of the petitioner's appointment on probation is an outcome of the appointment made under the relevant service rules, meant for general selection containing recruitment and conditions of service, where the person after adopting the procedure of selection is appointed on probation basis. The appointment on probation basis is the quite known feature of service rules meant for the purposes of selection and appointments on various posts. In some rules there are provisions that after expiry of the fixed term of probation if nothing adverse is communicated, the service of such employees shall be deemed to be confirmed. There are also conditions in the relevant service rules that the probation period can be extended and in case the work of the employee appointed on probation basis is not satisfactory, his services can be terminated also. It is also quite well known feature and settled principle that the appointment on compassionate ground is not made under the relevant service rules governing the general selection, including recruitment and conditions of service. This is a special kind of legislation unknown to the general procedure of recruitment contained in various service rules. Here, the intention of the legislature is, to save out the family from financial crunch which falls upon the family after the death of the employee who dies in harness." "As would reveal from the foregoing discussions and the Circular relied upon by the respondents, meant for appointment on compassionate grounds, there is no provision for appointment on probation/temporary basis and in absence of any such provision under the relevant circular/rule under which petitioner's appointment was made, the respondents' stand cannot be justified in putting the condition of appointment on probation basis. It is settled law that if a statute provides to do a thing in a particular manner then that thing has to be performed in that very manner and in not doing so it leads towards futility having no avail and void. 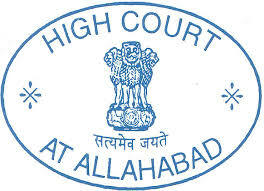 Therefore, we are of the considered opinion that in absence of any such provision under the relevant Circular governing the appointment on compassionate grounds, for making appointment on probation basis, the respondent's putting a rider on probation basis in appointment letter is totally misplaced, arbitrary and unsustainable in the eye of law." In the view of the Division Bench, once the appointment was permanent in nature, the placement of a condition of probation was unjustified. Reinstatement was ordered with half the back wages. Now, at the outset, it would be necessary to make a distinction between the decisions which were delivered in Ravi Karan Singh, Sanjai Kumar and Ram Chandra on the one hand, and the last judgment of the Division Bench in Jagdish Narain on the other. The decision in Ravi Karan Singh holds that the appointment of a person who is appointed under the Dying in Harness Rules cannot be terminated under the rules applicable to temporary government servants. The rationale for this position in law is that if the appointment is treated to be temporary, this will nullify the purpose of compassionate appointment which is to provide succour and relief to the family of the bread earner who has died while in service. This principle that the services of a person who is appointed on compassionate grounds, cannot be dispensed with by applying the rules prescribed for temporary government servants, was applied in Sanjai Kumar and later in Ram Chandra. Neither of these decisions deals with whether an appointment on a compassionate basis can be made in the first place on probation. That was not in issue before the three Division Benches and the issue has not been considered as a result. However, the decision in Jagdish Narain cites the earlier decisions in Ravi Karan Singh, Sanjai Kumar and Ram Chandra in support of the proposition that a compassionate appointment cannot be made on probation. Neither of the three earlier decisions of the Division Benches justify the finding or inference that a compassionate appointment cannot be made on probation since, as a matter of fact, that was neither the issue nor the principle of law enunciated by the Division Benches. With respect, we are unable to agree with the principle of law which has been laid down by the Division Bench in Jagdish Narain. An appointment which is made on a compassionate basis has to be made on a regular basis. Both Paras 7(a) of the Office Memorandum dated 9 October 1998 issued by the Union Government in the Department of Personnel and Training of the Ministry of Personnel, Public Grievances and Pensions and Para 7(a) of the more recent Office Memorandum dated 16 January 2013 provide that appointments on compassionate grounds should be made only on a regular basis and "that too", only if regular vacancies meant for that purpose are available. Making an appointment on a regular basis is not incompatible with the placement of the person appointed on probation. Appointment on probation is nonetheless an appointment to regular service and does not detract from the nature of the appointment. Probationary appointment does not leave the employee with a sword of uncertainty (as the Division Bench held in Jagdish Narain) hanging over his or her head. The period of probation is a period during which the appointing authority is entitled to assess the suitability of the employee for being retained in service. The retention or dispensation of the services of a probationer does not lie at the whim and fancy of the appointing authority, and is governed by the settled principles of service jurisprudence of making a bona fide assessment of the suitability for retention of the employee, based on his or her performance and work during the period of probation. An employee who is appointed on a compassionate basis is not immune from the operation of the general rules of service. What the scheme for compassionate appointment does is to provide certain exemptions and relaxations which are specifically codified (in Para 6 of the earlier O M dated 9 October 1998 and the O M dated 16 January 2013). Those exemptions and relaxations are that - firstly, the ordinary procedure for recruitment through the agency of the Employment Exchange or the Staff Selection Commission need not be observed; secondly, clearance from the surplus cell is not required; and thirdly, the ban order, if any, on filling up of posts issued by the Union Ministry of Finance in the Department of Expenditure are not applied. Para 6 also contemplates a relaxation in the upper age limit, in the fulfillment of the minimum educational standards and the passing of a typing test. The exemptions and relaxations must be confined to those which are prescribed by the policy and cannot be extended by the Court beyond what has been prescribed. Determining the nature and extent of exemptions and relaxations is a matter of executive policy. The Court in the exercise of its jurisdiction under Article 226 cannot re-write or re-frame policies, judicial review being confined to whether there is a constitutional violation. The Division Bench in Jagdish Narain has erred in holding that the Office Memorandum does not contemplate an appointment being made on probation and in concluding that an appointment on compassionate basis being "a special kind of legislation unknown to the general procedure of recruitment" in the service rules, a compassionate appointee cannot be placed on probation. A person who is appointed on a compassionate basis obtains employment without having to go through the ordinary procedure of recruitment and where a relaxation is required, by relaxing norms such as the upper age limit, minimum educational requirements and typing test. Again, here it is necessary to emphasise that these relaxations are granted because they are envisaged in the policy. But once appointed, a person who is recruited as a direct recruit on a compassionate basis is appointed 'on a regular basis' and against regular vacancies available for that purpose. A person appointed on a compassionate basis has to fulfill all the other obligations and responsibilities of the service. Such an appointee cannot claim immunity from an assessment by the employer of the suitability for retention in service. Such suitability is determined during the period of probation. The policy which has been framed, does not provide that a person who is recruited on compassionate basis, would not be placed on probation nor does it grant an exemption from the normal rules of appointment on probation. With respect, the Division Bench in Jagdish Narain erred in placing the test exactly in reverse, to the effect that there is nothing in the policy which requires appointment on probation. Once the policy clearly specifies that appointment would be made on a regular basis and against a regular vacancy, the appointment would have to be made in a manner consistent with the service rules. We, therefore, hold that there is nothing intrinsically wrong or contrary to law in a person who is appointed to a post on a compassionate basis being placed on probation. We, therefore, overrule the judgment of the Division Bench in Jagdish Narain (supra). We hold that the earlier decisions of the Division Benches in Ravi Karan Singh, Sanjai Kuamr, and Ram Chandra did not deal with the issue which has fallen for determination. (1) Re Question (1): Where a person is appointed on a compassionate basis as a dependent member of the family of an employee of the State who has died in harness, such an appointment can be made on probation. The object and purpose of appointing a person on probation is to determine the suitability of the person for retention in service. Appointment of a person who is engaged on a compassionate basis on probation is not contrary to law or unlawful. (2) Re Question (2): Since an appointment on compassionate grounds on probation is also a regular appointment and a person appointed as such is not offered a temporary appointment, such an appointee can be placed on probation in the first instance. (3) Re Question (3): The appointment of a person on a compassionate basis on probation is permissible in law. The reference is accordingly answered. The petition shall now be placed before the appropriate Bench according to roster for disposal in light of this judgment.